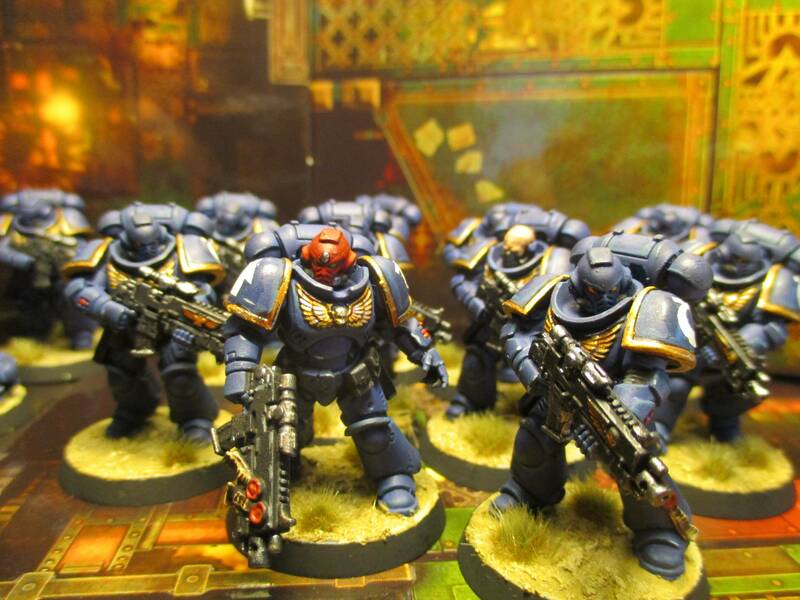 With my second set of figs from the Dark Imperium set and the two from the First Strike set I've put together two 10 man Primaris Ultramarines. I like the ten man squads more than five man squads as they seem a more reasonable size. They will be very tough to dispatch but you won't get many of them. 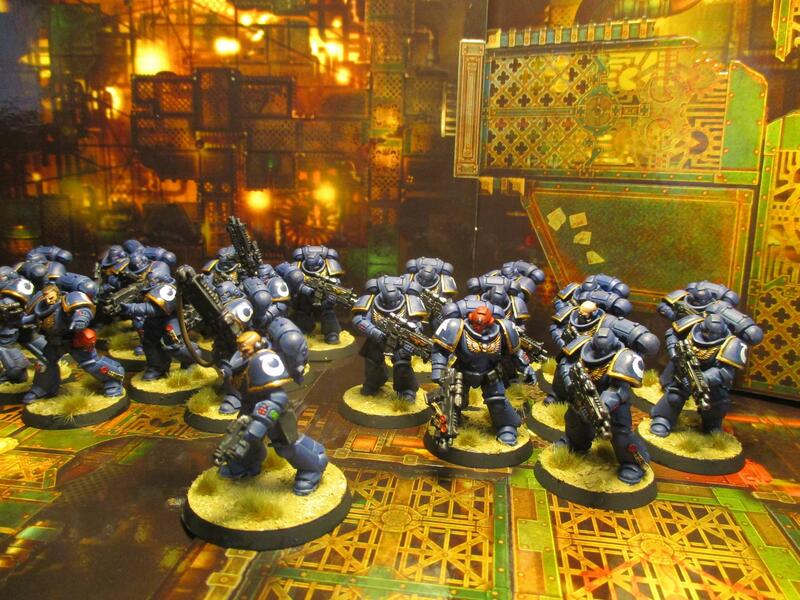 The guy in the middle with his bolter raised in this picture has an auspex. I look forward to the release of the multipose guys to add another squad or two. Probably I'll just get the one boxed set. I have enough sgts. for five squads now, although I've only painted up two of them. 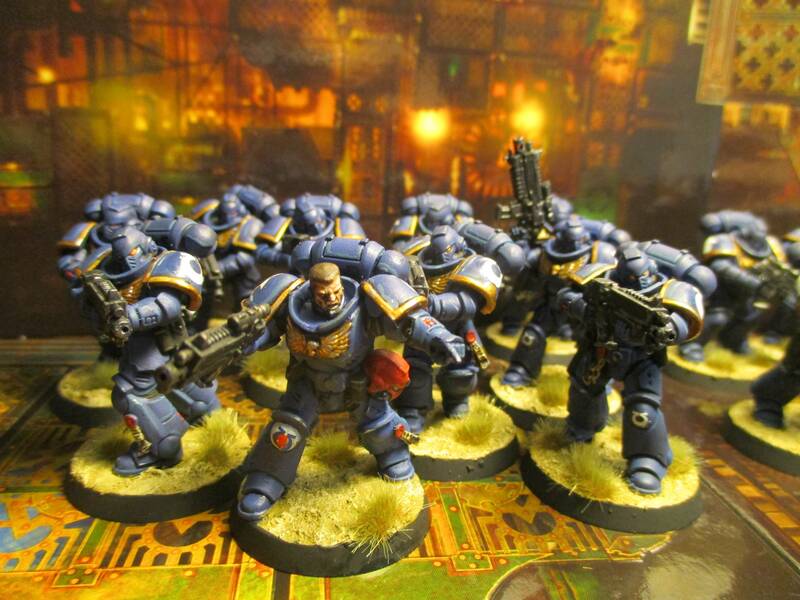 If I do another ten regular marines I can have three squads of ten or six squads of five with one more sergeant. That should be plenty. I'm not sure what to do about the Reivers. I really love the figures and the new multipose ones look even better. I guess I'll build two squads of 6 and 7 for now and make one grav shute equipped. Sorry, Pictors, I posted on the Black Powder Fantasy forum and it seems to have got tangled up in yours, hence the deleted post. Very nice job on those. I've got 2 sets myself, one is for my Black Templars and the other is joining my Salamanders. 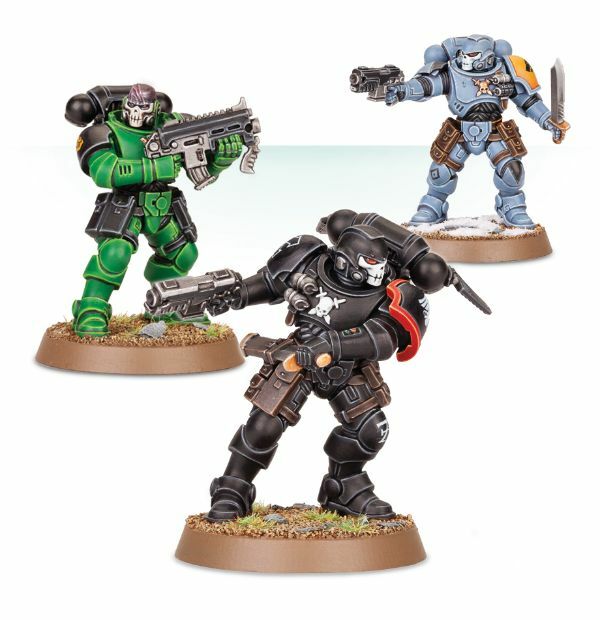 Don't have any Reivers yet, but if I pick some up they will certainly be for my Templars. 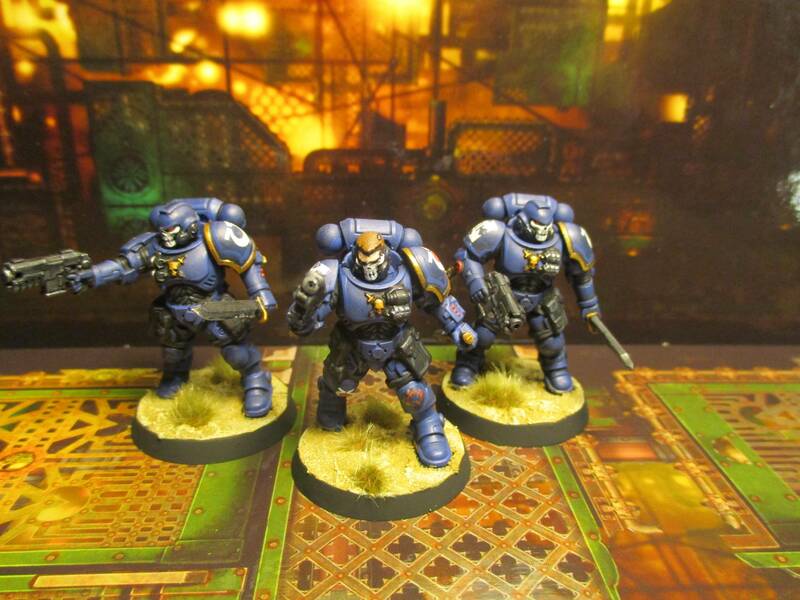 There is a picture of one of the reivers painted up as a Salamander and it looks brilliant. It is mostly the head is done so well. They also have one done as Ravenguard there and it looks great too so I'm sure yours will not look too dissimilar if you do them as Templars. Alright, you've convinced me Pictors. I've just pre-ordered a set of the Reivers. I really want to add the new Chaplain to my Templars as well, he looks the business. And I'm teetering on the edge of getting a box of Reivers now. The Reivers with grav shutes have so much narrative potential I can't imagine not having any when they come out. I could even see fielding a whole force of them for scenarios deep behind enemy lines or for rescue missions, sabotage missions and so forth. Painting my first Primaris marine mini just now, a captain I got of eBay, and they are lovely figures. I'm well impressed. Doing mine as an Ultramarine. If it turns out as nice as your figs I'll be very happy. Yours look the business.